What is it like to be a Disney Travel agent? 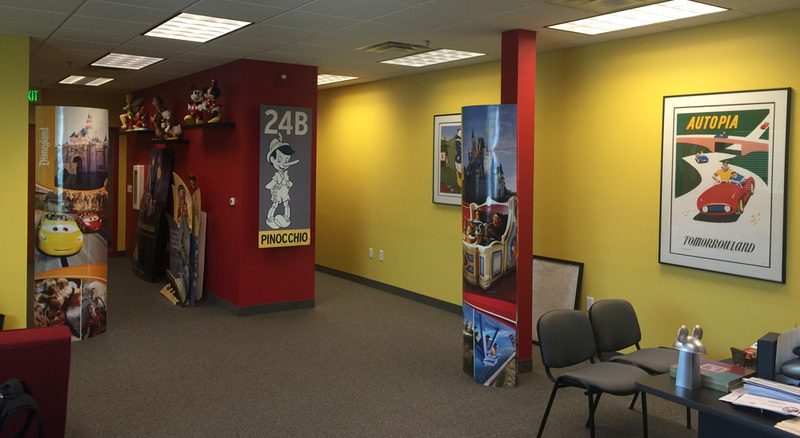 So, what exactly is it like being a Disney Travel agent? 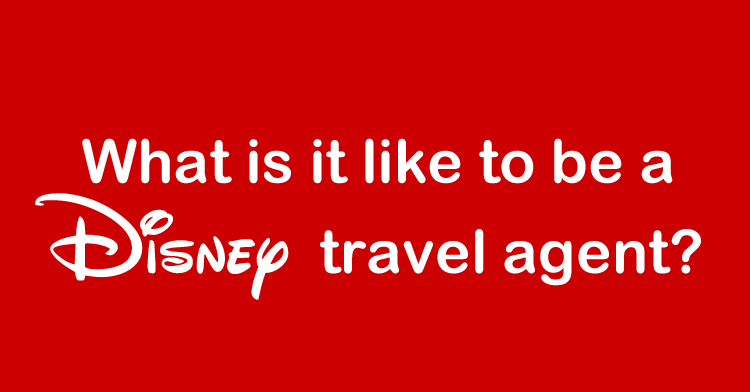 Having owned a Disney travel agency for 14+ years (Mouseketrips), I think this is the question I get asked most often. When people hear what it is that I do for a living, most are stunned that there is enough business for me to feed my family. They would be surprised if they knew exactly how many people start a Disney vacation each day (it is in the tens of thousands), the number is staggering. The next thing everyone says is “that would be the best job on earth!”. Well, they are right and they are wrong, just like any other job, there are great things about it, and some not so great things. I think most people assume I sit around all day in my jammies, drinking cocoa and watching Disney movies, mixed with weekly trips to my favorite Disney theme park, or maybe a Disney Cruise every month or two. The truth couldn’t be further from the assumption. You might as well assume your doctor or postman sits at home all day doing the same thing. I try to be at the office by about 7:00 AM each morning. I have a dedicated office in an office building, I do not work out of my home. It is worth every penny, I am just not effective working from home. Most of our agents work from home, whatever works best for you will work. First thing, I check my email to see if there are any client emergencies that have cropped up overnight (there usually are), and sort through my email from clients and prioritize it. If it is an emergency, I get back to them immediately, within minutes of getting into the office. It usually takes a few hours to answer all the emails, call clients and call Disney to take care of any changes, reservations or whatever. Some days, this is a pretty quick process, some days, it may take me 5 – 7 hours just to get through my email. In a typical day, I hear from and help about 15 – 20 existing clients, and I may hear from 5 – 10 new/potential clients. As the owner, I am also in charge of all marketing for the company, which takes up a good chunk of time each day. We post several helpful articles on our website each week (I aim for three per week, I usually make it), and I am responsible for getting the articles written, proofread, images added and posted on the website. I try to get the posts done each day around noon my time, 2 PM Eastern. An average article takes about 30 minutes to prep if someone else writes it, it may take an additional hour to write if I write it. Once posted on the website, the information is then added to Facebook, Twitter and Google Plus. Each day I also add a few fun Disney images to our Facebook page that I have to create. I typically then repost those same images to our Instagram and Tumblr pages. This process usually takes a good 30 minutes to get the up for the day. Then, back to email and the phone to take care of clients’ messages I received during my time away. During this time, I also try to keep track of the social accounts, and respond to anyone who has reached out to us on any of our posts. I try to be home by 4:00 PM, which is about when my kids get home from school. I usually work for a few hours in the late evening from home replying to emails, putting out fires and planning for the next day. In a typical week, I work about 50 – 60 hours. I try not to work on Saturday, other than addressing urgent problems, and I try to ignore work if all possible on Sunday. What do you do on a not-normal day? What are some of the benefits of being a Disney Travel Agent? Well, it is Disney after all. While I wouldn’t ever classify myself as a Disney geek, I do love the Disney parks, and there are few places I would rather take my kids than on a Disney vacation. All of my clients are always really happy to deal with me, they get to go to Disney after all. It is very fun to help people plan their Disney vacations, I can’t complain about that, and Disney is a great product to sell. Being an agency owner, I also get quite a few perks from Disney, especially when Disney has a big event. I have been invited to the grand opening of Expedition Everest, the new Fantasyland and Cars Land to name a few. I was in Disneyland the day before its 50th anniversary, the only day the park was ever closed. Disney has been very nice to us in the past, allowing us to attend these events with the press, and we typically report on them on our website. And of course, I “have” to go to Disney for work. It is very helpful to me to experience everything new that Disney has to offer, so I can fully help my clients as well as the agents who work for Mouseketrips. I make an attempt to stay in every new Disney Resort within a few weeks after it opens. BTW, the Grand Floridian Villas are to die for. The only resort at Walt Disney World that I have not stayed at is the new bungalows at the Polynesian. They are really, really hard to book, but I will get there. What are some of the bad things about being a Disney Travel Agent? Clients assuming that we have special hidden deals we can offer them which are different than what’s on the Disney website. We are skilled at finding you the best rate, but we aren’t holding the keys to special rates you can’t find on your own. When clients read stuff online or ask “friends”, who always know way more than you, a dedicated Disney Travel agent. Essentially working 24 hours 7 days a week. All Disney trips end up being working vacations. Doing weeks worth of work and having the client cancel their vacation. We are real people with families and lives. Clients who seem uninterested in their vacation up until the week before and expect you to drop everything on your schedule to take care of them NOW. Working with Disney “technology” every day. Great discounts are released by Disney, including TV and web advertising, but they make only a few rooms available for most dates. It may take months of hard work when starting to see your first penny, you aren’t paid like a normal job. In addition to what my agents noted, the job can be very stressful, especially if you are not organized. There isn’t anything worse that realizing that a client’s Disney Cruise was cancelled because you forgot to tell him the balance was due. It happens, and it is up to you to fix it, and the lost money comes out of your pocket. How can you become a Disney Travel Agent like me? Don’t be fooled by classes or online schools that offer to teach you how to be a travel agent, those are a waste of your time and money. At Mouseketrips, we have very high standard for a future agent. We require that you have been to both Walt Disney World and Disneyland at least 5 times recently, as well as on a Disney Cruise. We also look very closely at how a person writes, I cannot stress that enough, work on it. We may get 100+ applications to become an agent each year, and we may have 5, but we would love to see your application. There are now a bunch of other agencies out there, just be fully aware of what it is you are applying for. Many just “hire” you and send you out on your own to find your way, very few agents are successful that way. If this is something you want to do, take your time doing research on agencies, don’t even apply to an agency if you wouldn’t’ use them to book your own Disney vacation. Questions? Feel free to ask below.